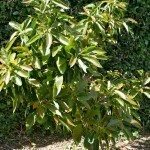 We have a summer avocado tree and would like to know what is a general rule for when fruit might be ripe or ready for picking. The tree flowered in January and the fruit is the size of medium mangoes. Could it be harvest time about now?